If I could find one word to describe Poultry Congress this year, it would be something between crazy, and loud! 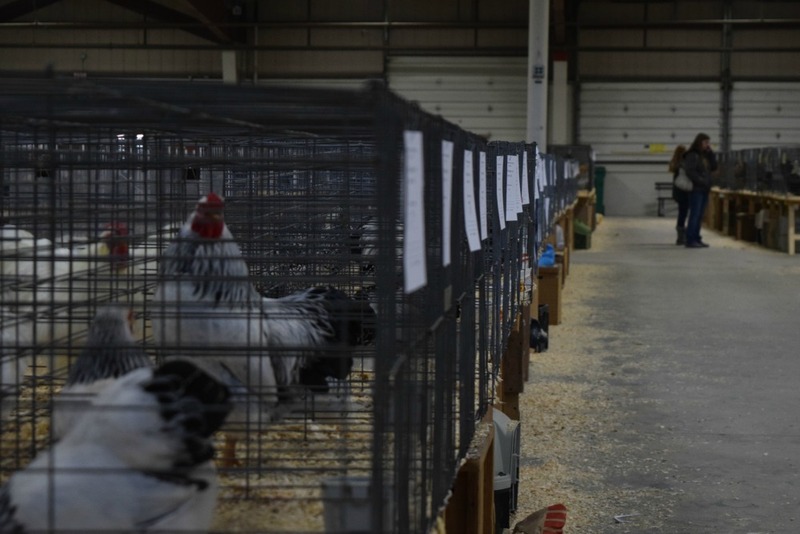 Located on the fairgrounds known regiionally for the “Big E” fair, the Northeastern Poultry Congress is an event in mid January that poultry enthusiasts in the northeast look forward to all year. Between the rows and rows of show cages, the live poultry raffles, and all the chicken celebrities we’ve read about in Backyard Poultry Magazine, it’s like heaven on earth. This year was the first time I was able to go to the show, and I really wish I had been able to go sooner! 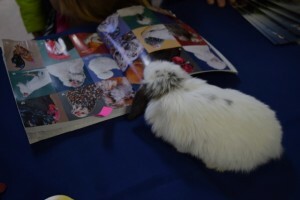 A bunny who stopped by the My Pet Chicken table, checking out the My Pet Chicken handbook. Things at the show were pretty crazy to be honest, as you may have been able to interpret from the photo above. Not long after I arrived, we witnessed a duck owner chase around a duck who had escaped from its cage, and clearly had no interest in returning to it either. That was when I knew it was going to be an interesting day, and boy was I right! The My Pet Chicken table is nearly always located in the vendors’ area, and from my observations, was by far the most popular. We were set up with some brochures, backyard chickens magnets, and a photography booth! My Pet Chicken offered free photography of birds in return for permission to use some of the photos in future blog posts and publications done by My Pet Chicken. 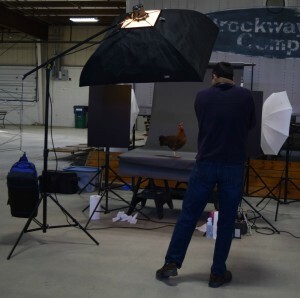 If you read my last post “6 Ways to Improve your Chicken Photos” and want to do better than a cardboard box, you can take a look at what Derek’s setup is like in the picture below. 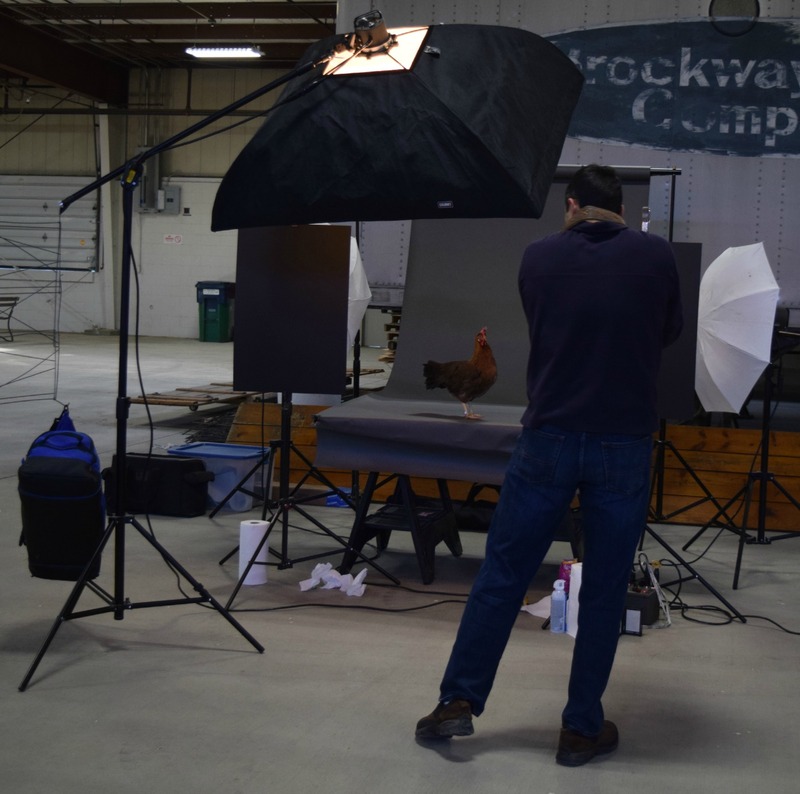 Here My Pet Chicken co-owner Derek, a skilled photographer, photographs a beautiful Brown Leghorn at the Poultry Congress. People were bringing all types of birds all day to get them photographed, and it was wonderful seeing all the proud owners come up with their birds. Our table was visited by lots of enthusiastic My Pet Chicken fans, including some chicken celebrities whom you may have heard of including the Author of Tilly’s Nest, a well known chicken blog; Dr. Mike Darre, the Extension Poultry Specialist for Connecticut; as well as many other well known chicken enthusiasts! I got a lot of enjoyment talking to them, learning about their flocks, and seeing how much they all loved being chicken keepers. The My Pet Chicken table has been at the show for over ten years. There is nothing as awesome as stepping into a room with anywhere between one and two thousand chickens of all different varieties crowing, clucking, and strutting their stuff! It’s one thing to see all the different breeds in different sizes and varieties portrayed in chicken books and websites–and another, way more awesome thing, to see them in person at the poultry congress. If you go to next year’s Poultry Congress, it’s an experience that you’ll find yourself coming back to every year. Every year is as exciting as the last. You never know what you may leave with either; I left there with my first two pet ducks! 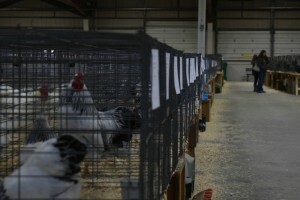 My advice: bring a cage just in case you see some birds for sale you like! (Make sure you have your quarantine area set up at home, too.) If you can’t find what you want at the show, take a look at all the beautiful birds My Pet Chicken has available. Whether you’re already a poultry keeper, or just hope to be one in the future, it’s really an event you don’t want to miss. Hopefully, we’ll see you there next year! 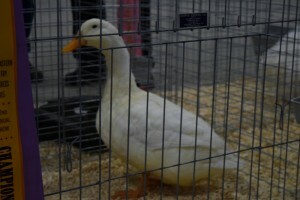 A Pekin duck at Poultry Congress that won its class for all heavy waterfowl. 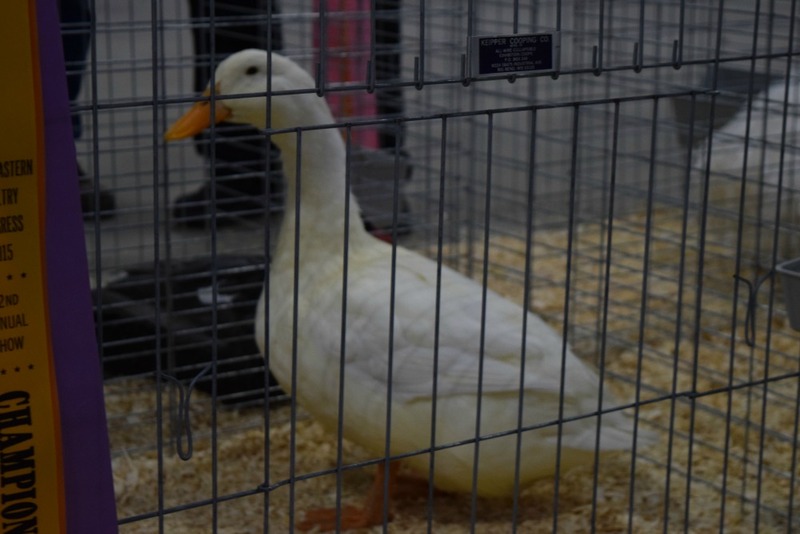 This is the same breed of duck that I purchased two hens of at the show, and you may recognize from the mascot in Aflac insurance commercials.